Attention to details, including matching colours for both furniture and fittings, exclusive headboards as well as the old wardrobe door, lend the rooms’ atmosphere an unrivalled elegance and charm. 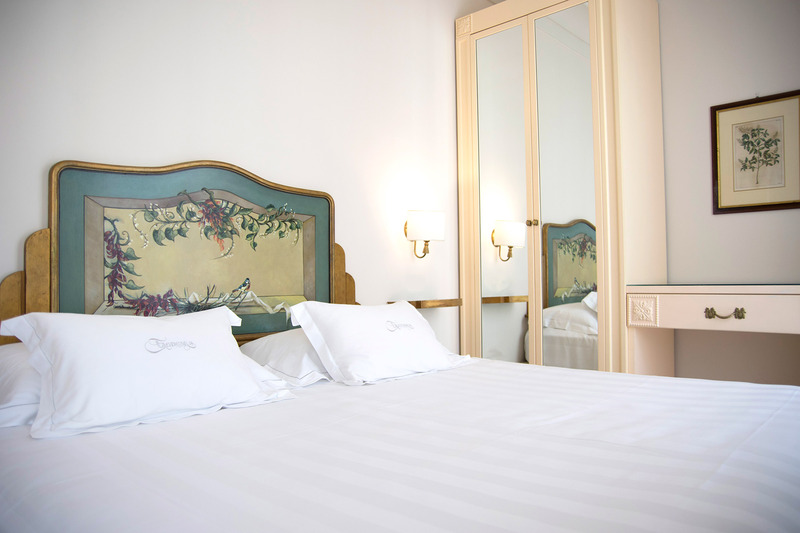 Soft white linen curtains, and pure cotton bedding. All bathrooms have modern showers decorated with marble and mosaic. Most rooms have a beautiful balcony with table and chairs. There is a non-smoking policy adopted throughout the hotel including all bedrooms. 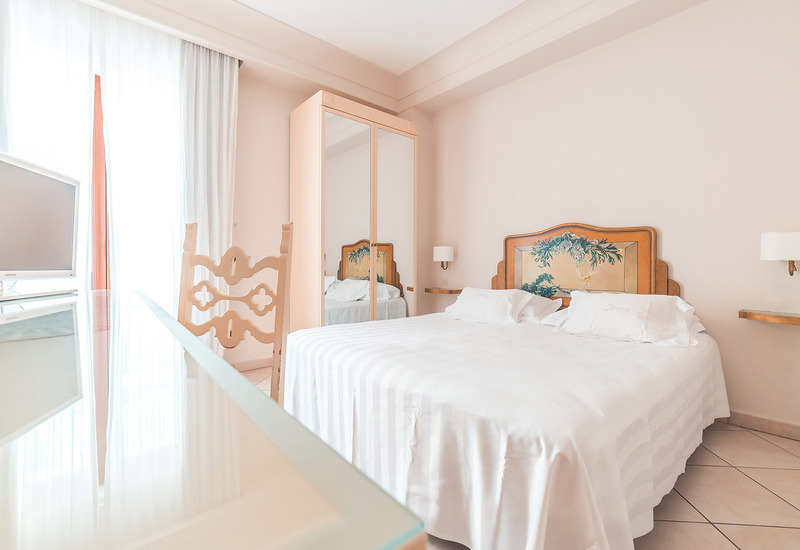 All rooms are soundproofed, which means that all our guests will be able to enjoy the magic of Taormina’s town centre in total relaxation. At the Taodomus Hotel, we like to offer our guests a cordial welcome and we do our best to ensure a peaceful and relaxing stay. Only two elegant rooms with a partial sea view, with special hand-made decorations and the unique colouring, which give the rooms their special charm. Each room has its own private balcony from where it is possible to enjoy a lovely partial sea view. 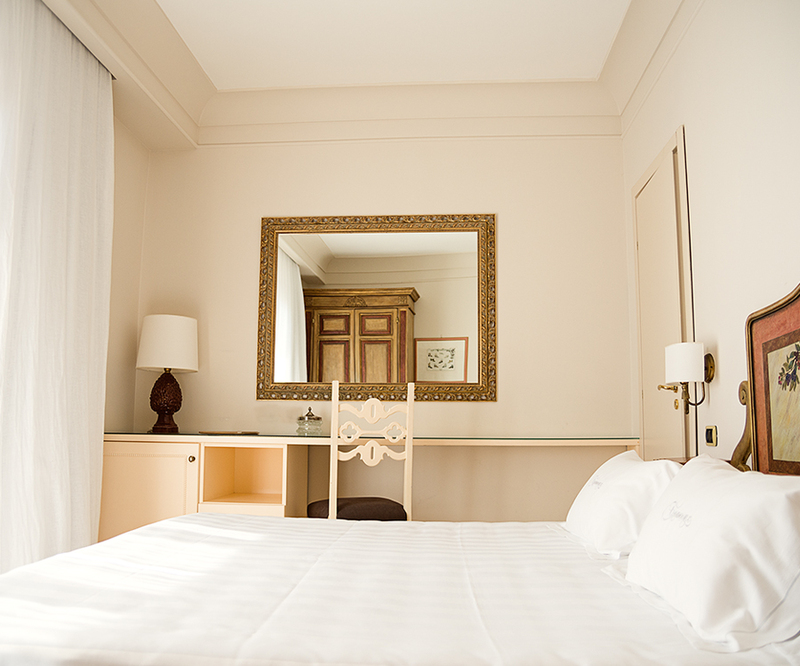 Most of the central view rooms have their own balcony from which you can enjoy the view of Corso Umberto, the heart of Taormina, an ideal place to relax while sipping tea or having breakfast. 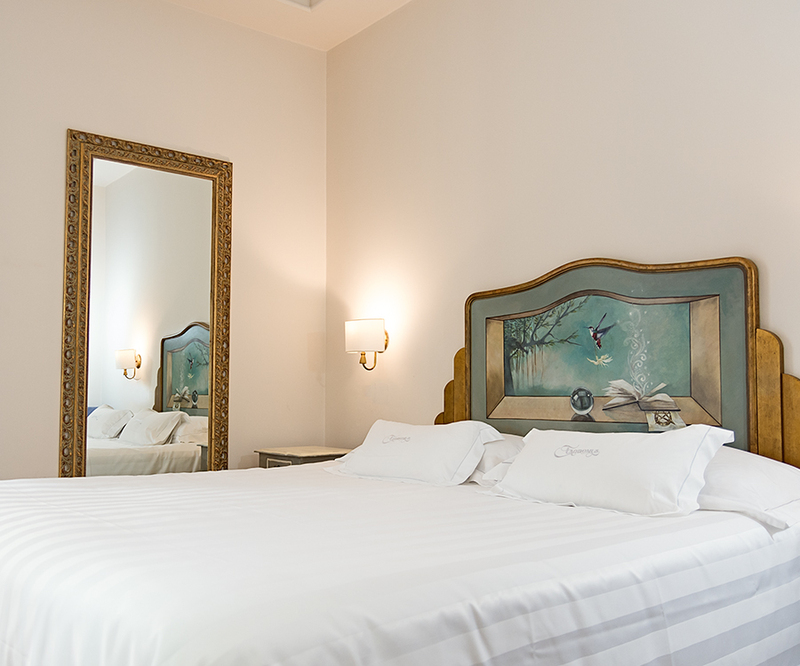 Our 10 rooms are all furnished in a unique style, the headboards decorated by hand, with ancient techniques of veiling,gilding and marbling recalling the decorations of the Sicilian Liberty School rediscovering the charm of the Belle Époque.